yay!! Loved the new post Sara! We miss you guys!! We sure need to see you more. Sad we missed you last time. Hopefully we'll see you christmas eve or morning at mom's! I've been waiting for the pinewood derby results! Congratulations to Dawson on the race and baptism! It was son neat being there at Dawson's baptism! And, now it will soon be Drew's turn! Crazy! It is so nice having you guys close! I think I'm going to have to steal the idea that the kids will be getting socks and underwear :). Congrats on the pinewood derby too! We're going to have to ask Dave for help when ours comes around!!! Great to hear the update and how you're loving Utah. Keep an eye on your mailbox for our family update! Take care, guys! Hey, congrats on your newest 8-yr-old! 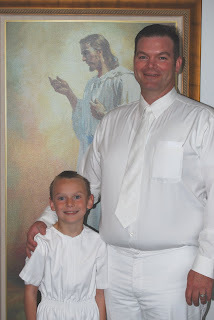 Mine TOTALLY loved his baptism, and is anxiously awaiting our pinewood derby at the end of this month! 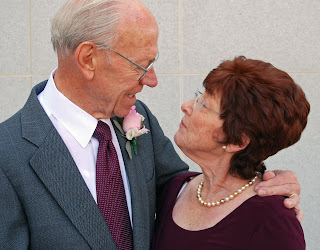 Check me out, and send me your email on FB, so I can add you as an allowed reader on my blog!